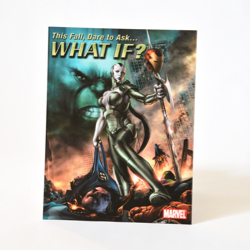 Description: This is a comic store advertisement card for five What If? 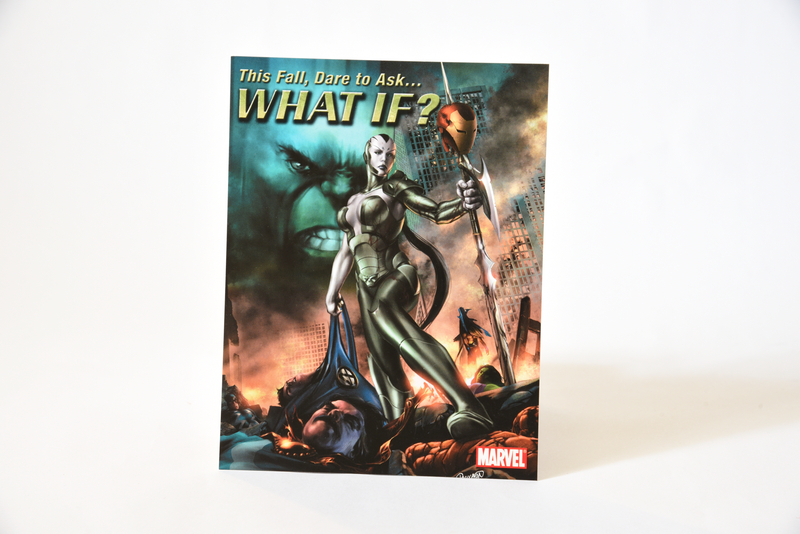 one-shot comics. The front features Doctor Strange unconscious on the ground.